Bridging the gap between luxury and contemporary, the Divine rug range by Nourison incorporates designs which have true artistic quality. The beautiful patterns suggest landscape painting and fine art character in a unique and compelling way. Refined and neutral colour palettes combine with different textures and weaves for beautiful results. 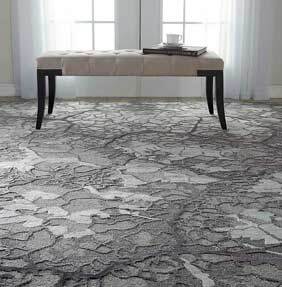 Each rug in the Divine collection is hand-knotted in a unique and patented Nourison way and they are constructed using a blend of fine wool and silken Luxcelle for an eye-catching sheen.